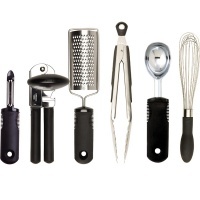 Dexterity is defined as the skill or ability in using one's hands or body. Lack of hand dexterity, for example, may prevent a person from opening a prescription bottle, holding a spoon or tying their shoelaces. Products in this category include exercisers, dressing / personal aids, kitchen aids, telephones, writing pens, and voice-activated clocks. 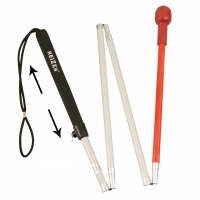 For your convenience, we have also included some mobility canes in this category. The Ableware Stay Bowl by Maddak is a non-skid adaptive eating bowl with an ergonomic, soft-feel handle that is designed to help people who have difficulty eating due to lack of upper body and/or extremity control. The Stay Bowl handle/base balances and stabilizes the bowl on the table while simultaneously providing support to the upper body enabling a more controlled movement of food to the mouth. 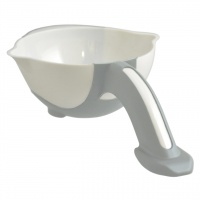 Spouts on both sides of the bowl allow for controlled flow of liquid from the bowl to the mouth, and lifting the rim opposite the handle provides extra stabilization when lifting and transporting the bowl. In addition, the unique design of the Ableware Stay Bowl helps eliminate spills while transporting or eating away from a table while a non-skid base prevents sliding. --Length with handle: 11 3/4"
--Length without handle (bowl only): 6 1/2"
--Width of bowl with drinking spouts: 7 1/8"
Aluminum Adjustable Cane for the Blind - This low vision Aluminum Adjustable Cane for the Blind can go from 48, up to 56 inches, or any length in between. 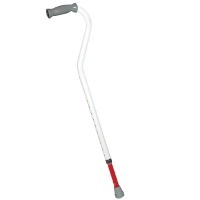 Ideal for those who are blind and need a walking guide, this adjustable cane can collapse for easy storage. 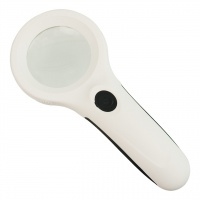 This low vision guiding cane has an easy-to-turn plastic tri-cornered knob, which sits at the base of the handle. Turning it allows you to extend the cane up to 8 inches addition to original length. Rolling tip and hand-strap included. If you're going to write, write boldly . . . The Reizen BoldWriter 20 Pen is a notably smooth writer that creates EASY-TO-SEE and READ, highly-visible, crisp, bold, black lines, making it ideal for the visually impaired and those with low vision. The BoldWriter 20 Pen doesn't smudge or bleed through most paper. It's just what you need for large-print calendar appointment entries, making labels, writing notes, shopping lists, and more. The cap has a handy clip, convenient for shirt pockets or to attach to paperwork. The exclusive ink formulation provides high-contrast, rich black ink that flows smoothly from the bold point. The BoldWriter 20 is the high-visibility pen for those with low vision. The BoldWriter 20 Pen's barrel provides just the right amount of surface area to grip, making it easier to hold than many other pens. Shortly after using the BoldWriter 20 Pen, it will most likely become your favorite go-to pen. You'll probably wonder how you made do without it. And perhaps best of all, this superior-quality, non-toxic pen is Made in the USA. BoldWriter 20 Pen is a registered trademark. Dark, black ink flows smoothly from its bold point to produce highly legible writing. The exclusive ink formulation provides high-contrast, rich blacks that are deeper than a moonless night. 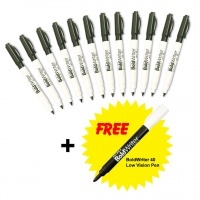 The BoldWriter 20 is the high-visibility pen for those with low vision. 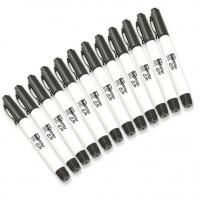 Money-saving 12 Pack of the Reizen BoldWriter 20 Pen. If you're going to write, write boldly. And if you're going to write big and bold, write ultra-boldly . . .
Great News: We supersized our bestselling product! Now the BoldWriter 20 has an even bolder big brother . . . the BoldWriter 40 Pen. The Reizen BoldWriter 40 Pen is a notably smooth writer that creates EASY-TO-SEE and READ, ultra-bold, highly-visible, 2.0 mm, broad, black lines, making it ideal for the visually impaired and those with low vision. The BoldWriter 40 Pen doesn't smudge or bleed through most paper. 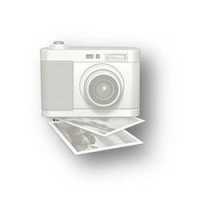 It's just what you need for large-print calendar appointment entries, making labels, shopping lists, and more. The cap has a handy clip, convenient for shirt pockets or to attach to paperwork. The exclusive ink formulation provides high-contrast, rich black ink that flows smoothly from the ultra-bold point. The BoldWriter40 is the high-visibility pen for those with low vision when they want to write big and bold. The BoldWriter 40 Pen's barrel provides just the right amount of surface area to grip, making it easier to hold than many other pens. The BoldWriter 40 Pen may very well become your favorite go-to pen whenever you want your writing to practically jump off the page and demand to be noticed. And you'll probably wonder how you made do without it. Perhaps best of all, this superior-quality, non-toxic pen is Made in the USA. 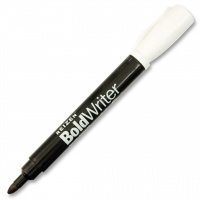 BoldWriter 40 Pen is a registered trademark.